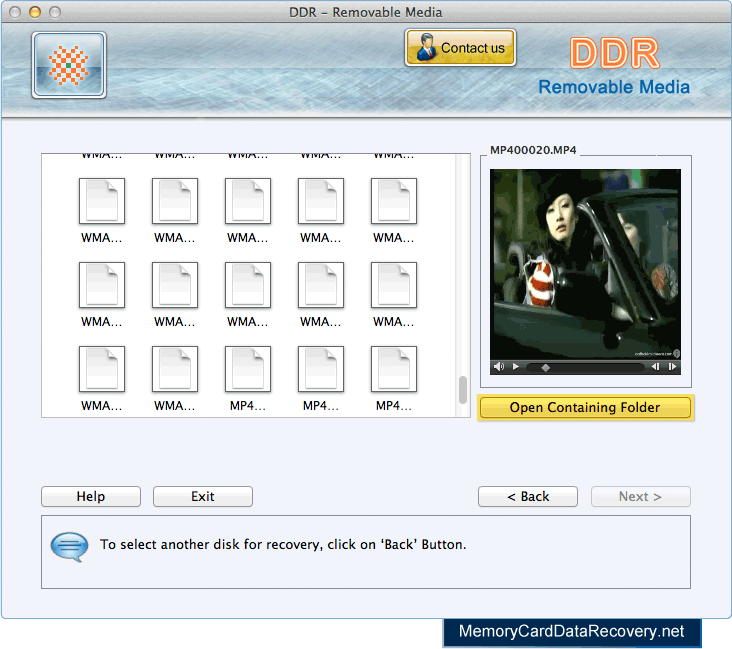 Select the storage media from which you want to recover lost files and choose any one recovery mode. 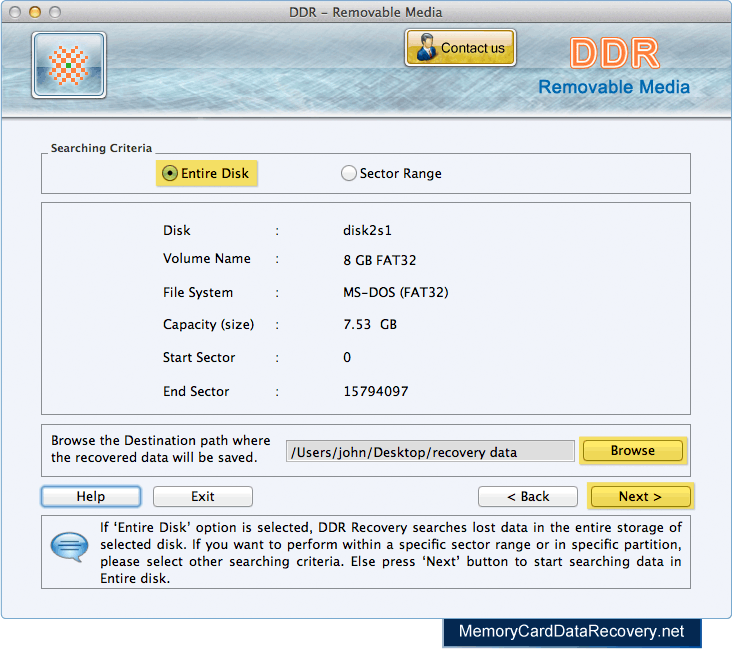 Choose any one searching criteria (Entire Disk or Sector Range) and browse destination path where you want to save recovered data. 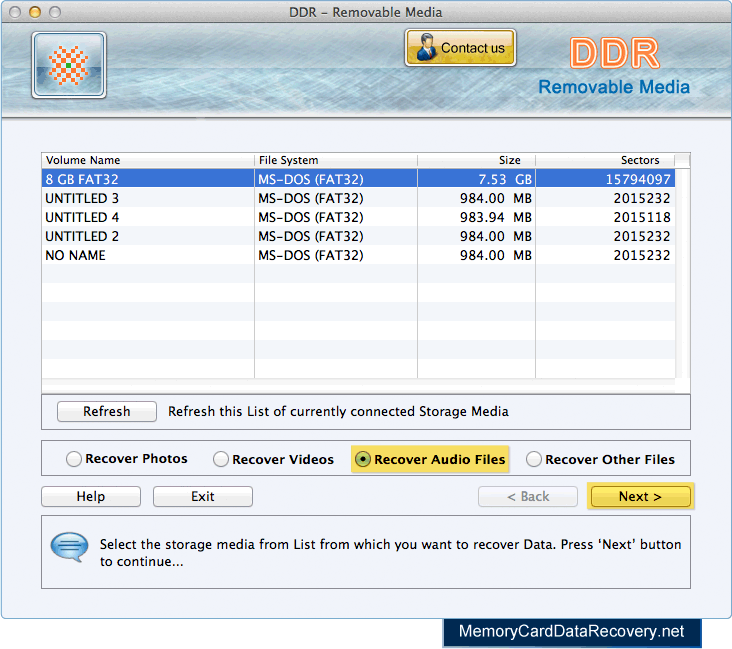 Select the extension of lost files and click Next button to start recovery process. 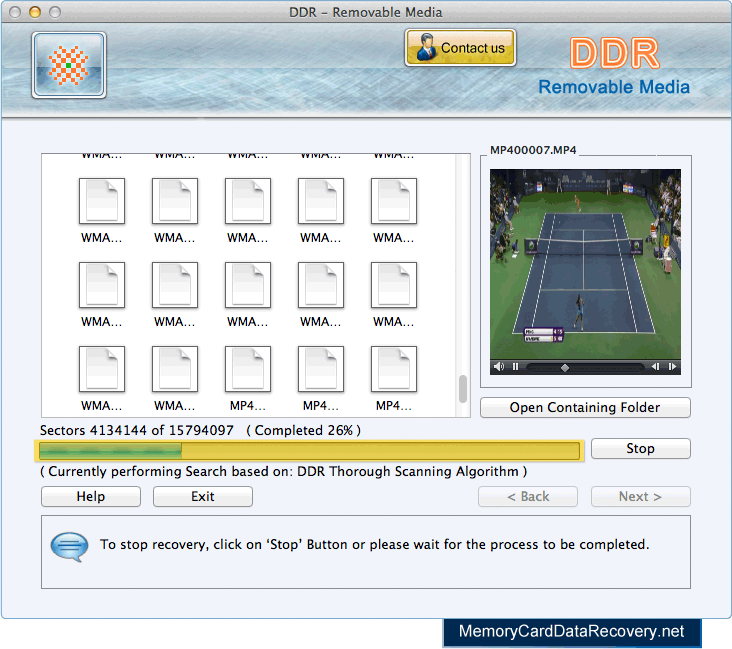 Disk scanning process is going on (using DDR Thorough Scanning Algorithm). Progress bar displays the current running status of recovery process. Recovery process is completed successfully. 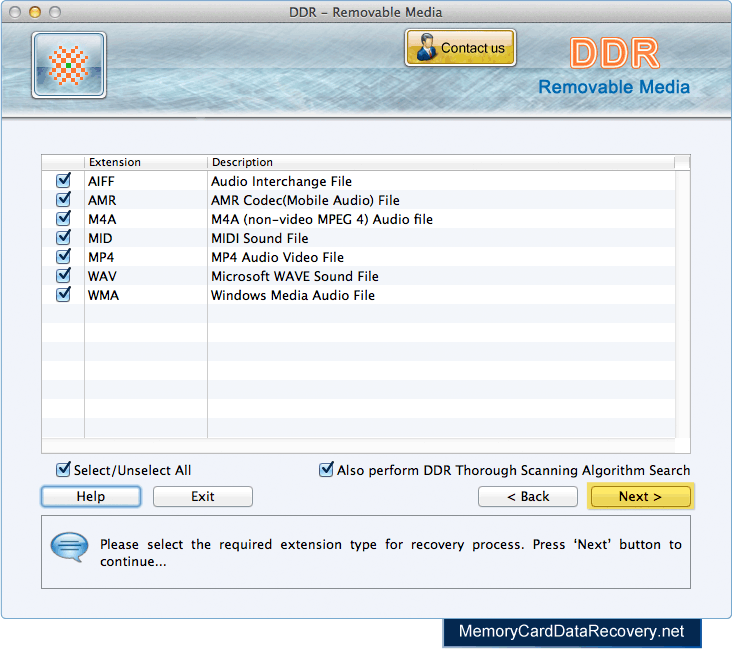 You can view recovered files by clicking on 'Open Containing Folder' option.